Green open spaces are important to any town. They provide space for exercise and recreation, while also providing an important green oasis in the urban environment. Calne Town Council own and/or manage several of the gardens and green open spaces in the town. Located on the A4 by Market Hill, the Town Gardens provide a pleasant parkland for people to enjoy. The gardens have seating and there is a small area for the children to enjoy the garden which houses "Billy the shunter" a train styled climbing frame. Attractively planted, the gardens also provide a welcoming sight to people passing through the town on the A4. 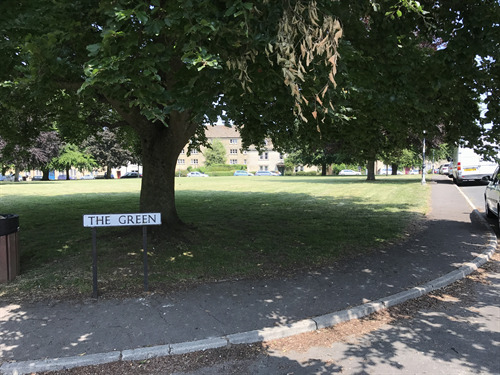 Entrusted to Calne, The Green is a large open space located just off the A4 by the White Hart Hotel. Surrounded by some of the most historical and interesting architecture Calne has to offer, The Green can be used for picnics, general recreation and enjoyment. The Recreation Ground provides a large space for sport and recreation in the town. This area is now under the ownership of the Town Council, who will now manage and maintain it. The park is located off Station Road or Patford Street. 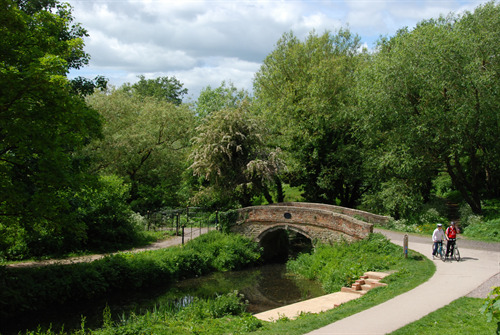 You can connect to the North Wiltshire Rivers Route which is part of the Sustrans National Cycle Network and which leads you all the way to Chippenham following the old Calne railway route. The area is great for walking and reaching open countryside. The park and surrounding lands are currently part of an exciting long term regeneration project managed by the Castlefields Canal & Riverpark Project (CARP). The Town Council has given significant grant funding to this organisation to help towards making the project a reality. Castlefield’s Park was transferred to Calne Town Council in 2012 as a community asset from Wiltshire Council. The Town Council recognised the area as an essential green lung to the town and wanted to ensure it remained as a green space and a community asset for the present and future generations to come. Following some freak weather in 2012 the Town Council discovered that urgent works were needed to some of the trees. In addition the historic wall was found to be in a very poor state of repair and liable to collapse in parts. Costs to repair and reinstate the wall sympathetically and in a manner which was fitting for such a historic part of Calne were going to be extremely costly. The Town Council is pleased to announce that following amendements to the Section 106 agreement relating to the Station Road development, Hills Homes has enabled funding to be available to effect the reinstatement of the historic wall. This means that the essential works can be undertaken using the expertise of a conservation architect and in full consultation with conservation officers from Wiltshire Council. 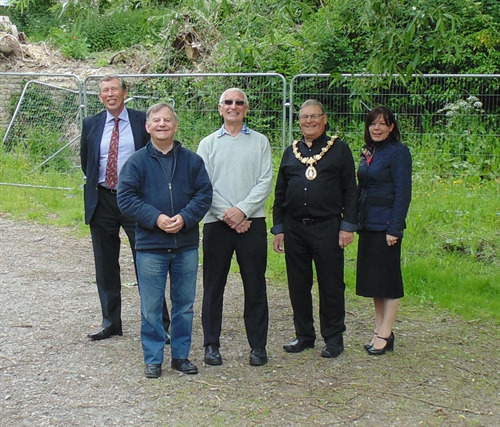 It will also ensure that the historic value of this part of Calne will be preserved whilst also taking in account the surrounding flora and fauna to ensure they are protected throughout the process. Details of the stages of the reinstatement will be available shortly.